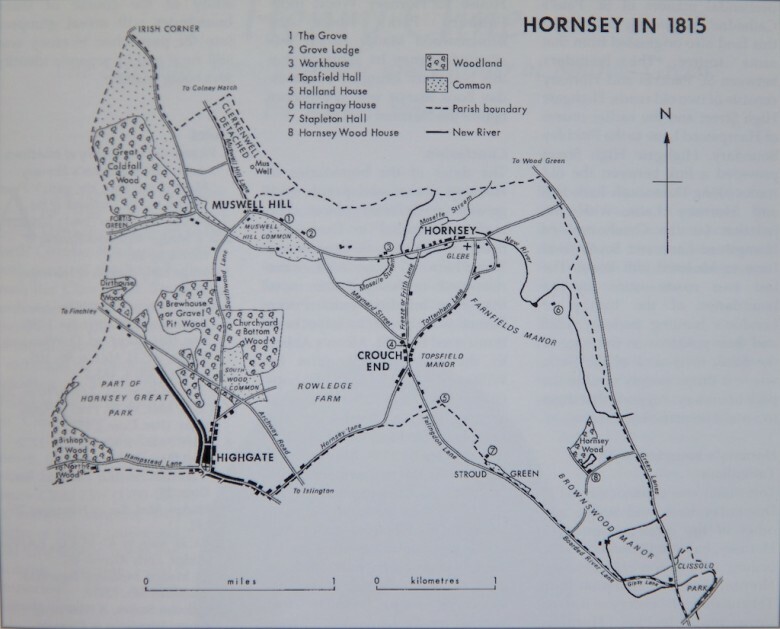 This 1815 map of Hornsey Parish refers to the former Rowledge Farm. Gravel Pit Wood (there was a Roman pottery there) has since become Highgate Woods and Churchyard Bottom Wood has become Queens Wood. Many street names have also changed. The New River - now largely unseen - winds through to the Thames.